Dengue virus has taken an epidemic form in Chumukedima area with 67 positive cases out of 73 reported in Nagaland. Twenty-six new cases of dengue were reported here within a week, mostly in Chumukedima, taking the total cases from earlier 47 to 73 in the state. Health officials described the situation in the Chumukedima area as an epidemic. 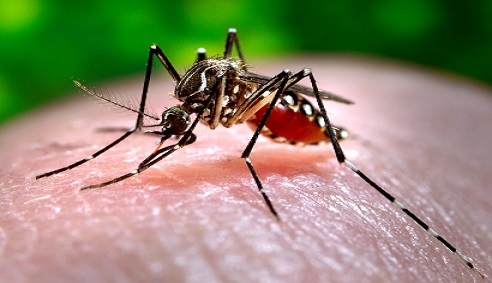 According to Dimapur district vector-borne disease control officer Dr Imtiwabong Aier, no cases of death has been reported till date and urged people not to panic but maintain cleanliness. In the last week, 131 blood samples were collected from both government and private hospitals here for test at Dimapur district hospital. Of these, the sentinel surveillance site lab in the hospital confirmed that 26 tested positive for dengue. Twenty-two are from Chumukedima while the remaining is from other colonies. Dimapur district hospital chief medical officer Dr K Vikato Kinimi said the health department has discussed with Chumukedima extra assistant commissioner Thejavizo Nakhro on initiating certain social measures by collaborating with gaon burhas (village headmen) and village councils. He claimed the health department was doing its best but said overall community participation was also required. Kinimi asserted the health department would continue playing its role in curbing the spread of the vector-borne disease. He also stressed that every household too should collectively participate in controlling dengue breeding ground in their surroundings as depending only on government initiative would be futile in combating the disease. The Nagaland Development Outreach, the development wing of the Nagaland Baptist Church Council, in collaboration with the health department had reportedly called for observing one dry day in a week to empty and dry up all containers like flower pots, flower vases, tyres, buckets around the houses. Urban Vector Borne Disease Scheme assistant director Kikolul Khieya stated around 20 staff on the field are studying the mosquito presence across eight colonies every week and also to study the presence of aedes aegypti mosquitoes that transmit serious human arboviral diseases including yellow fever, dengue. He said as per the study the container index was very high, confirming failure of the community and public to prevent dengue outbreak. The Chumukedima administration, in collaboration with the health department, is conducting awareness programmes and campaigns in the area to contain spread of the virus.